The Association of Professional Mole Catchers formulates and develops policy through considering carefully the views and opinions contributed by its members, Affiliates, and other groups and entities connected with APMC and mole control generally. To encourage excellence in the practical art of professional mole catching through engaging constructively with mole catchers, allied interests and industries, and the general public. APMC seeks commonly and throughout its specific aims to protect and maintain the identity of mole catching as a distinct and identifiably independent occupational discipline. Focussing on outcomes helps APMC to apply quantitative and/or qualitative measures when assessing the value and effectiveness of its aims and objectives. APMC's objectives are the focussed activities the Association invests in to service its specific aims. 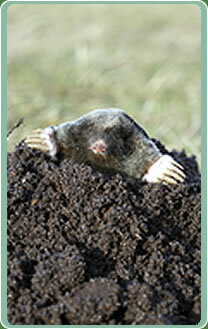 To achieve its objectives APMC might engage with and/or provide assistance or support to service providers, special interest groups, and other professional bodies and client groups connected with mole catching.